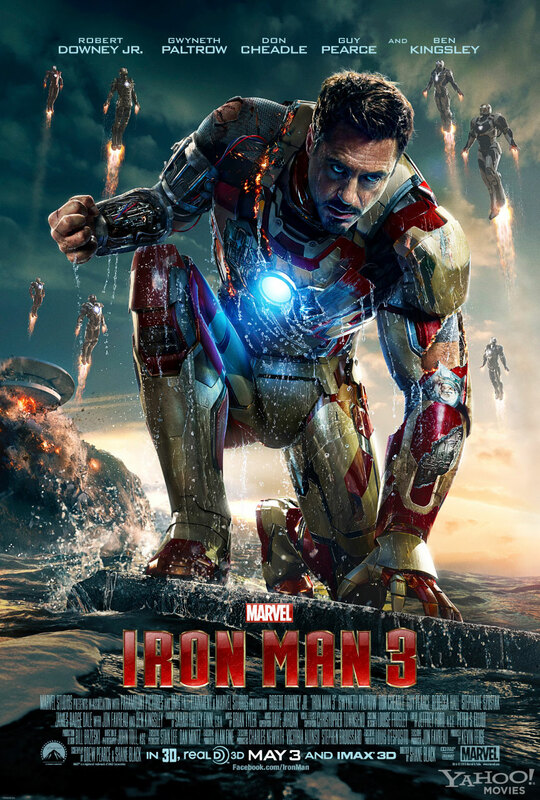 Iron Man 3 – Prepare for heavy metal! This is a blockbuster in every sense of the word. Tony Stark/Iron Man (Downey Jr.) is disgusted by a new terrorist named “Mandorin”. He gives his home address and calls the terrorist out to a fight. The fight he gets is an amazing sequence that has many special effects and reveals his character perfectly. On another level Aldrich Killian (Pearce) is looking for funding but the project is too easily weaponized to be considered by Stark. The movie is an amazing special effects extravaganza that does not disappoint. If you liked this try: X-Men, Avengers, Iron Man 1 or 2.